How many times have you thought or heard the statement that someone or you are too busy to look after yourself? What would you think is the healthiest state you could ever be in? No matter your answers we all know being healthy means being physically active, eating healthy foods and understanding what nutrients your bonus requires to protect your immune system, your bones as well as mental and physical health. It all starts by knowing what healthy living plan works best for your age and schedule, this includes knowing what diet works, and how active you could be, which in both cases need to work for your weight. 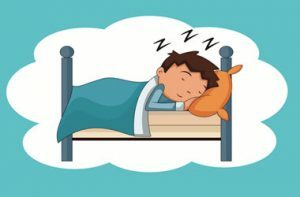 One of the first steps in starting healthy living is to get a good night’s sleep as it is the foundation on which all other health plans start. If you tired you tend to reach for sugary stuff and often don’t feel like physical activity. Many doctors even advise those who wish to stop drinking a large amount of alcohol or stop smoking, to first get their sleeping patterns sorted. Eating the correct type of food can reduce health problems like diabetes and heart disease, yet the most important part at the start of a new way of living is how good eating healthy makes anyone feel. Your food choices have a much bigger impact on the rest of your wellbeing as most people think, once you rested and eat healthily half of your healthy lifestyle is already intact. By feeling rested and good from the food choices you make, you would want to get out there and be more physical, which also instantly reduce weight gaining and reduce the chances of high blood pressure or high cholesterol levels. 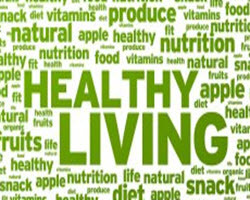 More than the above-mentioned chances or no huge changes is necessary to enjoy the positive results of a healthy living. Healthy living needs the foundation to be in place, which is a good 8 hours sleep a night. If you rested its easier to eat no sugary treats and walking instead of driving becomes an easy choice. Many decide joining a gym is the best route to ensure physical activity and those most successful are people starting their day at the gym, before work or any other task part of their busy days. This almost always works best as once your day starts there are thousands of reasons why you won’t have time to go to the gym. No matter whether your physical plan includes a gym membership or a long walk, doing it first thing in the morning also gives you tons of energy during the day and you can tick it off your list before your day even starts. So, are you too busy to look after yourself, or is it basically just a quick shuffle of your schedule that is required?